Discussion in 'Mitchell Custom Knives' started by Mitchell Knives, Feb 17, 2015. Hey guys. I've enclosed a picture of a new neck knife design that I have been working on. The overall length is about 6.125" with an actual cutting edge of about 2.6". 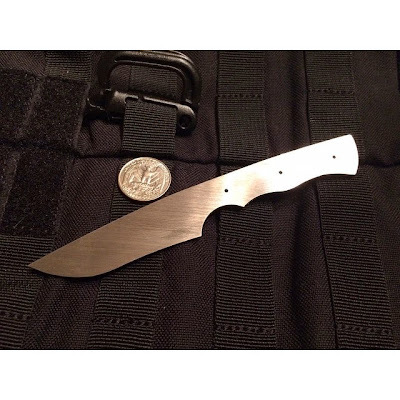 This seems to be a great size for a neck or pocket carry fixed blade. This particular knife is .09" 1095 steel. Handles will be G10.